Parties of 9 or more please contact the restaurant for assistance. Everything served at Morton’s is spectacular! The filet Mignon with Lobster Oscar was wonderful. Good atmosphere & service! Exceptional food! I’m a Morton’s fan and visit often in different cities. I can count on Morton’s for both fine dining and service! The service wasn’t the best, often having to flag the wait staff down and they weren’t very busy at all. The food was ok but not as good as I expected for the price. The drinks were very good. Instead of a traditional baked potato as a side, the server talked us into a cheesy potato side they had as an option and it was very underwhelming. We had a great meal at Morton's Dallas. Been to many around the country but was the first time at this location & they were terrific. Hannah (our server), Trevor (bartender) & Brian (manager) were all great! I look forward to returning to this location this summer when I'm back in town. The food was excellent. The wait staff and manager were personable, knowledgeable , and very nice. The food was amazing good flavor, aesthetically pleasing. The only negative was that it was a little too dark inside. Other than that we went for a birthday dinner and the birthday girl was very happy, personalized menu. I give it five stars. I would definitely recommend and visit again. Anniversary dinner. They put us in a booth / wall type table right next to another party when there were at least 10 empty tables. We made a reservation well in advance and got the worst table in the restaurant. Too many great steakhouses in the area to offer service like that. Food was nothing special for a steakhouse but was fine. This was the first steakhouse I ever experienced with my husband years ago so we thought it would be a nice memory. Very disappointed. the atmosphere is very nice. the service is considerate and knowledgeable. they try to make your experience one that will keep you coming back, and i do. 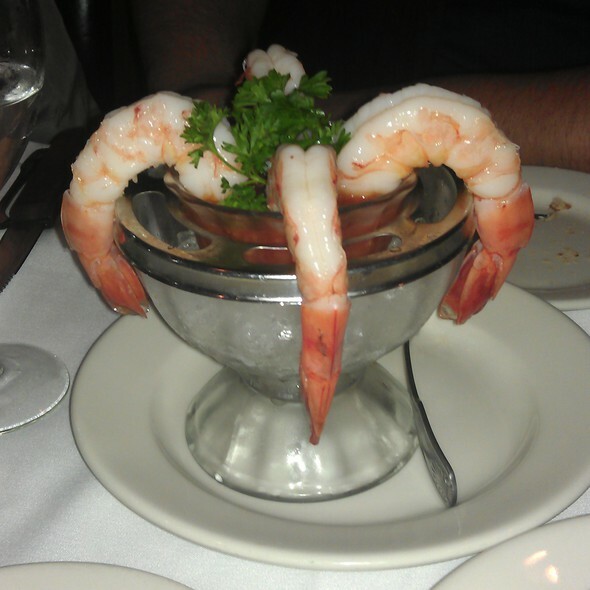 It was our first time visiting Morton's in Dallas and we thoroughly enjoyed it! From the polite Valet to the Host's at the front desk and our server Jason we had a wonderful experience. The meal, cocktails and service was fantastic! Thanks to all for a memorable night! Great place for a date, business dinner, and even for the family. The service was well timed and friendly. Staff are there to make sure you have a great experiance. We tried the rack of lamb and the dry aged NY cut steak. Both were cooked to perfection. I cannot say enought about the truffle fries, those are a must have! Will definitely come again. Our steaks were delicious, but everything else is very bland and way over-priced. The food was exceptional; however the waiter was not as attentive as I am used to for a restaurant of this caliber. A great advantage to this location is the seating availability from 5pm-7pm (unsure about later times). Excellent food as always, great service. My all time favorite. Awesome service and food. This is a top drawer experience, from the bread to the bill. 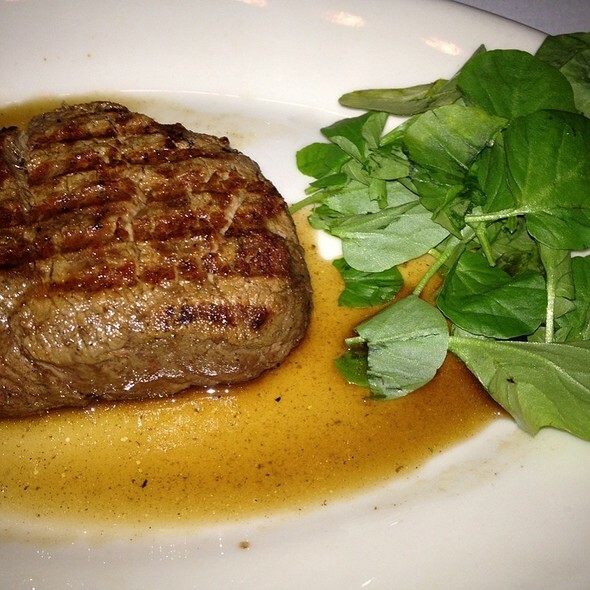 Dining at Morton's The Steakhouse in Dallas, TX is special in more ways than one! We were from out of town and gratefully used their shuttle service from our med center hotel. From arrival to departure, we were treated as favored guests although that's the way they treat all their customers. My wonderful chopped salad was so large, it could have been a meal in itself. And my husband's rich and chunky lobster bisque was the best he's ever tasted. My medium rare 8 oz. filet was slightly overdone, but was still very tender and flavorful. He chose the humongous Cajun rib eye steak which was a fond reminder of the same entrée once enjoyed in NYC. 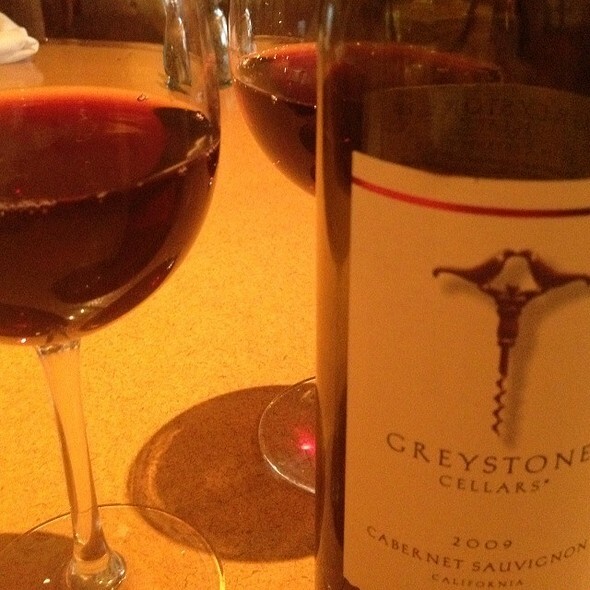 The wine was spot on and the service impeccable. Kudos to the chef. And a special shoutout to the manager Brian who showed genuine hospitality with a caring and special touch. 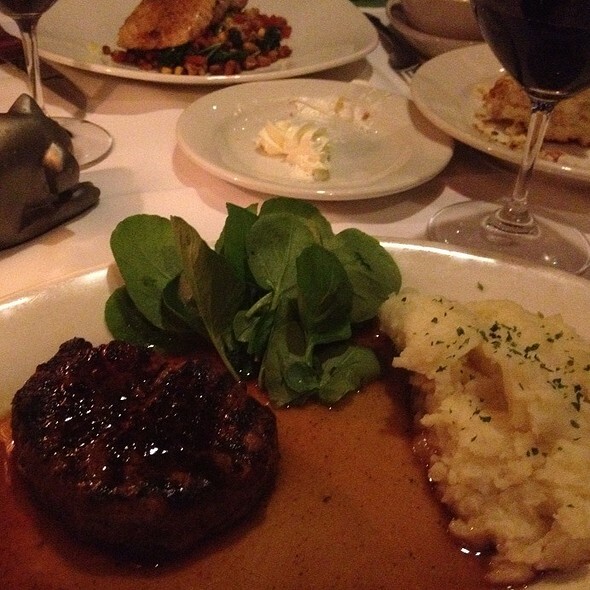 One can't go wrong at this Morton's in Big D.
Mortons is always a great experience on any occasion. It is a family favorite for sure! Amazing service - everyone makes you feel welcome but server by far the best in Dallas! 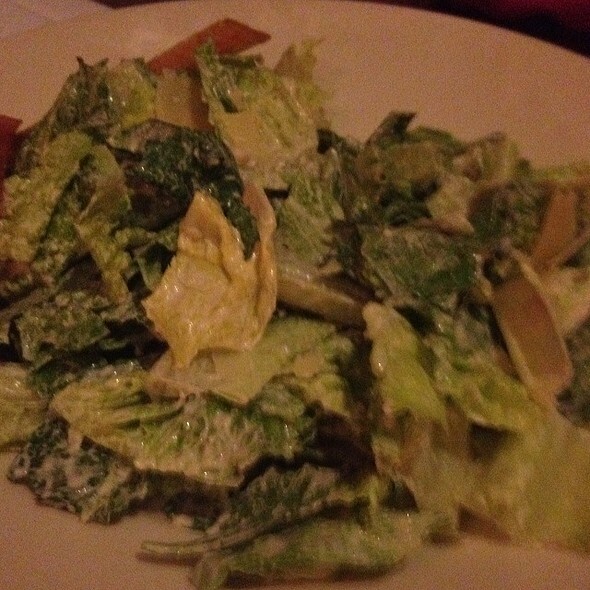 It lacked a more friendly atmosphere and better attentive service from the staff for a high end steakhouse. Name tags or introductions will go along away with guests seeking help or information. Additionally, it was my 3rd choice, so I had high expectations, a little disappointed. Lastly, once I made the reservation, I had to follow up to be sure that is was booked, no confirmation whatsoever! If I have to do this much work and pay these prices, that is very least I should get. My first choice was Trulucks in Dallas, been there several times for dinner and just for drinks socializing. I walk in, they greet me and they go out of their way to make sure things are GREAT in every aspect, not Morton's. I am in the service industry and I must cater to my clients, if I don't they move on and I lose business. We love a night out to Morton's. We loved our waiter and the food is delicious. Perfect place to go for a special date night out. We visited Morton’s for Valentines Day Dinner, the restaurant was very nice. 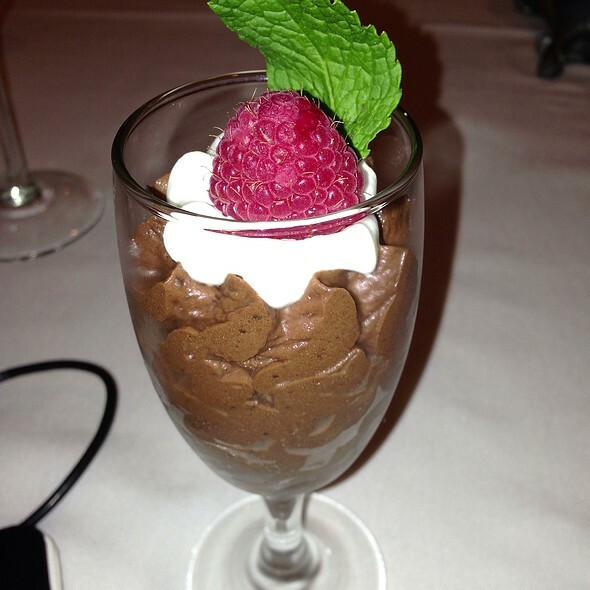 We waited at the bar until our table was ready and the bartenders were very attentive, our waiter was very courteous, explained the selections on the menu and we ended our dinner with the lava cake, which the waiter bought for us. 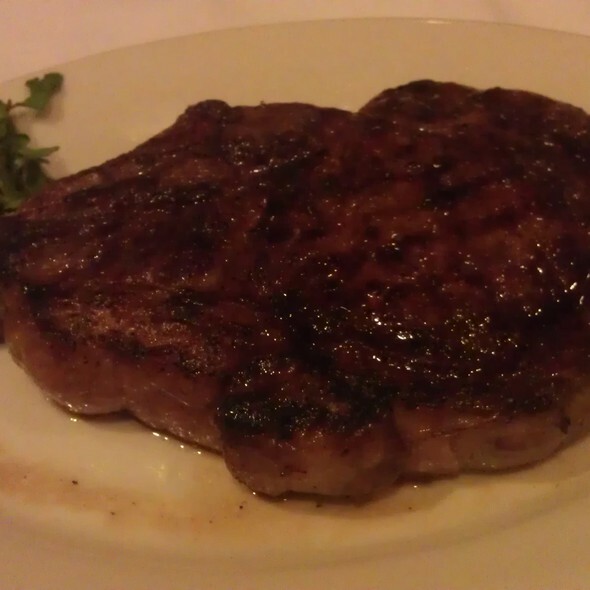 I’ll be returning to Morton’s in the near future, of and the prime bone-in ribeye was perfectly cook!!!!!! Overall was a great experience. The lone issue we had... was the waiter. He seemed a bit off. Asked for some time to go over the menu and decide what we wanted and he just stood there. Kind of seemed annoyed that I asked for a few minutes to do so. Nice dinner before a show. We both had seafood and it was tasty. Only request would be to have some basics included with the seafood dishes instead of having to order anything but the fish ala cart. Quality of food was not good. Overprice appetizers for one small crab cake over breaded and three scallops a little rubbery. Will not return. Great place, food and drinks. The service was excellent and professional. Definitely recommend if you are looking for a good steakhouse. 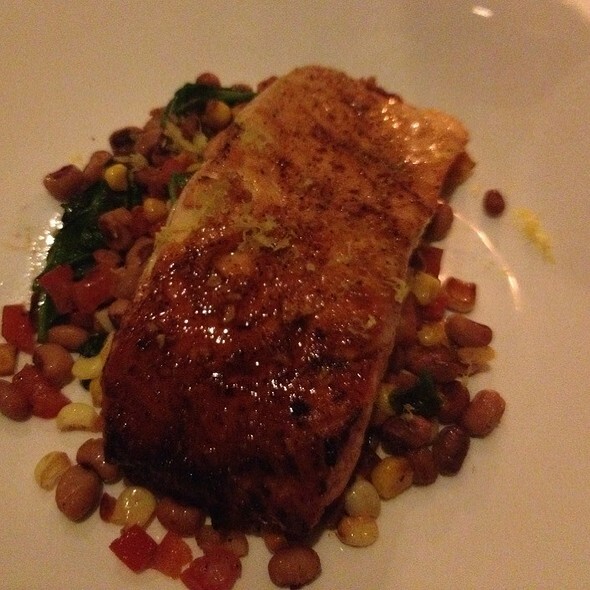 The food was amazing, service was perfect, and the atmosphere couldn’t have been better. The food was delicious, as always, and the service was great! Post Valentine's Day dinner with my wife was terrific. Our server Hannah was great. She was pleasant and very helpful answering questions about recommendations but not in an over the top way. She really was a classy lady and A plus. The rest of the service including water etc also very good. One of the managers took the time to check on us as well. We had the bacon wrapped scallops which were good. Wife had the filet and she loved it and was cooked to perfect. I had the special dry aged strip and it was very good. The seasoning was terrific! Very good steak and flaovor. 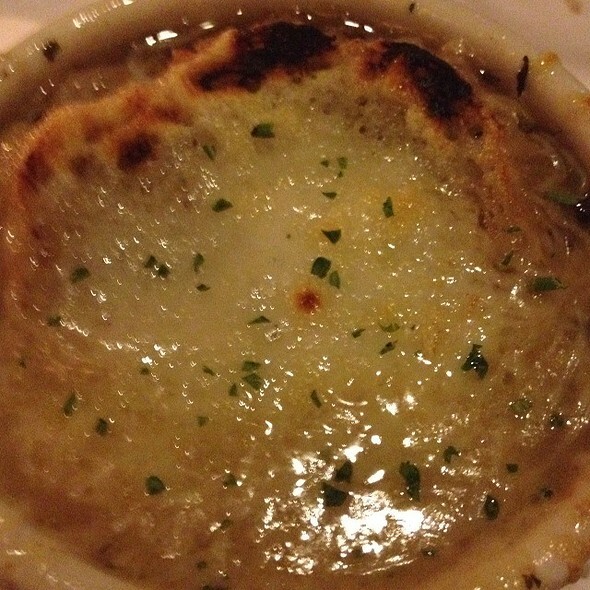 I had the special mushrooms as a side and we shared the augratin potatoes both solid. The bread is fantastic as well! The drinks came fast and she loved the special Valentine's Day cocktail with vodka some prosecco and an edible flower. My old fashioned was good. It was a lovely date night when looking to splurge. Best experience ever we loved it!!! Food was amazing, service was awful. I went here for Valentine’s day with my girlfriend, we are part of the younger crowd (20 yrs old) and it definitely was apparent to them. They sat us in a dark corner, waiter never introduced himself, had to ask for refills, wasn’t offered sparkling water like the other tables around us, had to ask for our check, and waiter didn’t check up on us once. I’ve had better service at chill’s...Just because we are younger does not mean the service should be any less than anyone else....honestly just so disappointed because the food was actually good. I recommend not coming here if you are under the age of 25 because you will most definitely get discriminated against and not get the service you pay for. We had a great experience on Valentines. Will definitely be back!